Today was my second ‘Freelance Monday,’ a description I’m already considering revising in favour of ‘Writing Monday’ as I’m rapidly coming to realise that freelancing comes at a cost; the cost being, well, writing (or at least writing what I actually want to write). For obvious reasons this is far from ideal. To explain a little more eloquently, the purpose of my taking one day a week to write was twofold; one, to hone my writing skills, and two, to try and make money from my passion (try being the operative word, as I’m all too aware how hard it is to get regular paid writing work). Thus far I’ve achieved neither, because whilst the freelance work I’m currently doing does involve writing and is paid, it’s not the kind of writing that I want to be doing and is paying far less than it should be given how much of my time it’s taking up. I suppose I should try to look at the positive side of my current situation. In two short weeks I’ve already come to realise that writing anything for money just won’t do – I have to be emotionally invested in it, otherwise I may as well still be working five days a week for someone else. Furthermore, I now know that when quoting for freelance work I need to be sure I can achieve the work in the time specified (and therefore within the agreed budget) – because otherwise I’m not only working for someone else, I’m also working for free. And that’s ridiculous in anyone’s book. 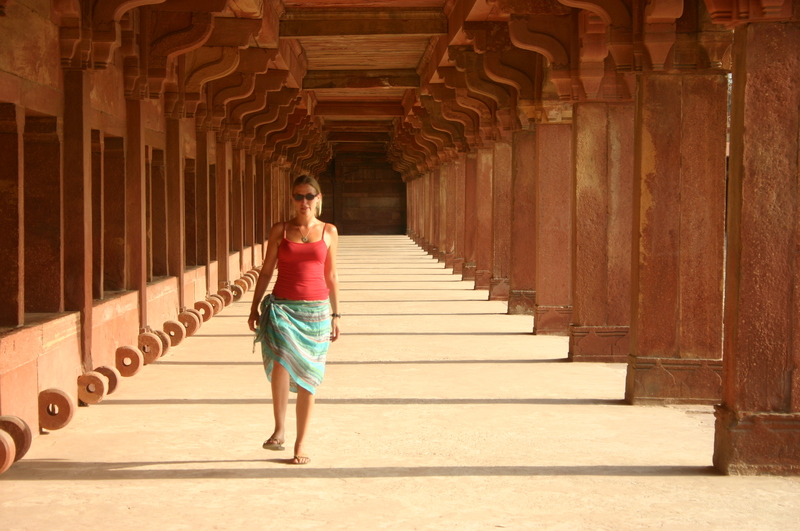 I love this picture that my friend took when we were in Agra in India. We were trying to make the shadows look like steps, and if the very slight shadow that I’m casting wasn’t there we would almost have achieved it. It makes me think of the importance of being creative and not letting that creativity be stifled – by anything or anyone. This entry was posted in Uncategorized and tagged budget, emotional investment, freelance, paid writing, quote, writing by Belle365. Bookmark the permalink.